The FIFA Worldcup is starting and obviously the entire world is making predictions on who is going to be the next winner, the number of goals being scored, the number of yellow and red cards, favorites, number of spectators etc. Just for the fun of it we will briefly stand still with some relevant and less trivial questions regarding the history and the present. Which countries have participated most frequently in the World Cup? There have been 18 World Cups organized so far and not surprisingly only Brazil has participated in all 18 events, followed by Germany and Italy both with 16 final tournaments, Argentina is following with 14 in 4th place. Not surprisingly all 4 nation are active in South Africa again. Which nations won the World Cup most often? Again no surprise, Brazil won it 5 times, followed by Italy with 4 wins, West Germany with 3 wins and Argentina and Uruguay with 2 wins each. Conclusion, little variety! It is the big traditionals that win the cup virtually always. Is it likely that the record of average number of scored goals per game in the World Cup will be surpassed? Never say never, but very unlikely in our view. The average number of goals scored per game during the history of the cup amounts to 2.92, moving in a range of 2.3 in the edition of 2006 to 5.4 in 1954. We have to say that we have entered a downward spiral since 1982 when the average still was 2.81. Let’s hope this spiral will be broken, but we have our doubts. Which of the current participating nations generally gets the least number of goals against? This should be seen as kind of an indication of which nations have the best defenses in football. And indeed not surprisingly it is Argentina that wins this category with 0.85 average goals against per World Cup match. They are followed by, no surprise again, Italy with 0.90 and Brazil with 0.91. A surprise to some may be the number 4, The Netherlands with 1.06, a team which is generally known to concentrate on offence rather than defense. Can a smaller nation win the World Cup? If we look at history, this is very unlikely. The only small nation that managed to win the world cup twice is Uruguay, but both occasions (1934 and 1950) were in the first few editions of the championships. Clearly, there should be a relationship between the number of inhabitants of a country and the quality of a football nation. The argument behind it is simple; bigger countries with a traditional football culture just have far more people to choose their talent from. It should be interesting to see which countries historically have done well when correcting for the number of inhabitants. We have looked at this by dividing the total number of points realized during World Cup tournaments by the number of inhabitants. The result? Uruguay wins, followed by Serbia, Denmark, Paraguay, Switzerland and The Netherlands. Argentina would actually be the first traditional when measuring it in this way. Do organizing nations have the often referred to “home advantage”? There certainly is a home advantage. Looking back in history there were six occasions that the actual organizing nation walked way with the Cup, which means historically there is a one in three chance. However, in this particular occasion the probability of South Africa winning it seems extremely low. Another interesting angle is to see whether the host usually wins its opening match? In all editions of the World Cup, the hosting nation has never lost its opening game. In fact the hosting nation wins its first game in most occasions. Which country has the worst track record during the World Cup? It is Zaire! They participated once and played 3 games, scoring not a single goal and getting 14 against. Not surprisingly they lost all of their 3 games. Which tournaments have enjoyed the highest and lowest number of attendants? Will South Africa break this record? The highest number of spectators during one World Cup tournament was in the USA in 1994 with in total 3.6 mln spectators and an average of 68,982 viewers per game. On the flip side it was Italy in 1934, that drew the lowest number of 361,000 in total. The lowest average number per game could be found in Sweden in 1958 with an average of 23, 411 per game. Let’s assume it must have been the cold. Will South Africa surpass the record? In order to realize this they should attract an average of 56,000 people per game. In our view this is unlikely to be realized. 6 out of the 10 stadiums have a capacity of lower than 56,000 and we believe the bigger stadiums will not be able to compensate for this, also in view of the schedule. 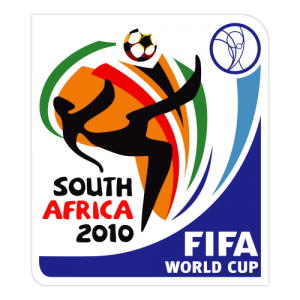 The record that South Africa without a doubt won’t break is the highest attendance during a World Cup match; 199,854 in the Maracana Stadium in Brazil. The lowest? 300 in 1930 in Montevideo! Discipline to deteriorate further? And then there is the subject of discipline. Over time discipline has deteriorated. Whereas the average yellow cards per World Cup game amounted to 1.88 per match in 1982 in Spain, this number has steadily increased to a whapping 4.8 in 2006. Over the same time period the number of red cards per game increased from 0.21 to 0.44. Obviously it is to hope this trend will not continue, but we have our doubts. The bookies seem to be more positive; 4.44 yellow cards per game and 0.33 red cards. The team receiving the most cards? Argentina. What do the bookies say? And then the people who try to make a living of it, the bookies! Clearly the outcome does not surprise. Spain the big favorite followed by Brazil, Argentina, UK and Holland…..what else is new!? I would say plenty of ammunition for the ones that are placing bets or playing all the World Cup football pools. But then again, history is by no means a guarantee for future success, that’s what makes it fun! Against all historic (and current) odds, I am with The Netherlands anyway! Enjoy all! For all you record buffs, a wealth of info can be found on the link below, enjoy! UEFA’s financial fairplay rules step in right direction…..
UEFA’s Executive Committee has approved a set of key regulations as part of the financial fair play concept designed to bring greater stability to European football in the coming years. This should be seen as a step in the right direction. Although the new rules will take nothing away from the financial muscle power of the bigger clubs or will lead to increased competitiveness within the leagues, it should particularly help the long term sustainability of clubs and hence the game. Many clubs are in difficulties. According to UEFA around 50% of 650 professional football clubs in Europe is losing money each year and 20% is making massive losses, spending 120% of their revenue each year. Not surprisingly salaries are one of the main reasons; a third of the 650 clubs is paying out salaries in excess of 70% of total revenues. Moreover the annual increase in salaries of around 18% is exceeding the rise in revenues of 11%. Clearly this may result in bankruptcies, which could affect other clubs as clubs could no longer be able to pay each other. Examples of clubs in difficulties are popping up each week and hence it is clear that some measures had to be taken. UEFA’s financial fair play plan (FPP) is hence designed to stop reckless spending by clubs and to stop rich benefactors from injecting large amounts of cash, a practice which distorts the transfer market and pushes players’ wages to astronomical levels and has a knock-on effect as other clubs try to keep up. As of June 1, 2011 clubs will no longer be allowed to owe money to other clubs, players, tax authorities and social service departments. Money invested in stadiums and youth development does not count in the expenditure for FFP purposes. The main targets are high wages and high transfer fees. – Improved level playing field for European top clubs. As the rules already are largely in place in France, Germany and Italy and The Netherlands adapted similar rules just this week, the countries to be affected most will be Spain and the UK. This obviously should be seen as good news as it would create an improved level playing field for the European top clubs. Note that it is the Spanish and UK clubs which carry the heaviest debt burdens in Europe; the 18 Premier League clubs combined are for more than EUR 4bln in the red. Also several Spanish clubs faced bankruptcy. The result of these rules will be that the upward spiral in salaries and transfer fees may be broken. To say the least, clubs cannot borrow endlessly to pay high transfer fees as their Profit and Loss accounts would no longer balance as a result of excessive interest payments and amortisation charges on players. – Debt is allowed but limited to a certain extent. Although the focus will be clearly on a balanced Profit and Loss account, it does not imply that UEFA will not look at the amount of debt on the books. Although debt is allowed (as it can fund additional growth) a red flag will be raised if net debt (including loans of the owner) exceeds annual turnover. In that case the clubs will be asked for additional information. Again this should prevent clubs to over leverage (for example in a leveraged buy out) and hence to either pay too high salaries or too high transfer fees. – Emphasis on long term structural investments. Long term investments are excluded from these rules, which is again good news. Rather than short term investments in expensive players, long term investments in stadiums and youth development are allowed (interest on loans and depreciation on fixed assets are in that case excluded from the calculations). These investments should contribute in particular to the longer term health of the clubs, i.e bigger capacity, home grown players rather than paying high transfer fees. If sugar daddies mean well, it is in these items where they want to invest in. They do not help the sustainability of clubs with short term investment in players for two reasons. Firstly, when a sugar daddy or benefactor says goodbye to a club, the club is left in shatters and secondly even if they invest in players this does not guarantee success. Remember only a few clubs can run away with the gold, the majority will lose. – Unanimous approval of ECA. The European Club Association, representing 137 leading clubs in Europe, has unanimously voted to approve the proposal. That should be seen as a surprise as some of the clubs might suffer from these regulations in the short term. Cynics might suggest that in that case there might be loopholes in these regulations, which brings us to the negatives. So what should be seen as the bad news behind these regulations? – Loopholes creating governance issues. Clearly there will be creative masterminds finding loopholes in the regulations. The more apparent ones such as benefactors paying excessive amounts for sponsoring or lounges in the stadium are easy to counter. UEFA will likely judge at arms length and hence it won’t be easy to use such constructions. However, it seems somewhat less clear when benefactors would provide interest free loans, as interest would clearly not show up in the Profit and Loss account. No doubt there are similar constructions to think of. This means governance and transparency will become of extreme importance, something which will not always come easy. – The rich will still get richer. Under the new rules, there will be few changes as far as the clubs that can spend the most. The clubs with the biggest attendances, sponsorships and media income will still generate the highest revenues and hence be able to pay the highest salaries and attract the best players. Subsequently these clubs are likely to benefit from additional income from the Champions League. As there is a strong correlation between salaries and results in the league, it means the rich clubs will remain on top. No wonder these clubs have agreed to the rule changes. – The new rules will do nothing for the competitiveness intra Europe. The gap between clubs that play in big countries like the UK, Spain and Germany and clubs that play in leagues in smaller countries, is unlikely to disappear given the enormous differences in the level of sponsor money and media income. This means that there will still be no level playing field as far as leagues in countries are concerned. It also implies that in European club competitions like the Champions League clubs from the smaller countries are unlikely to bridge the gap. The only playing field that will be somewhat leveled is hence that of Europe’s top 10 top clubs. – Wage inflation should decline but ticket prices could rise. 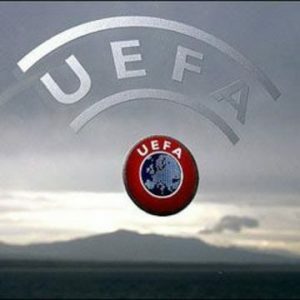 As UEFA has chosen for a Profit and Loss approach, revenue maximisation might be the name of the game going forward. Generating more revenues means more can be spend on for example wages. This could mean that prices for tickets (albeit that ticketing income is a relative minor source of revenues) could increase. Although a salary cap for clubs, rather than for individual players (which under European law is likely to be impossible anyway), might have been a better solution, this probably was not acceptable to many of Europe’s top clubs. That’s why UEFA has come up with the current set of rules. Hence the conclusion is that under the current circumstances, this is probably the best possible solution and certainly a step in the right direction. It is not solving all the issues but better than the old system and certainly addressing some of the most pressing issues.